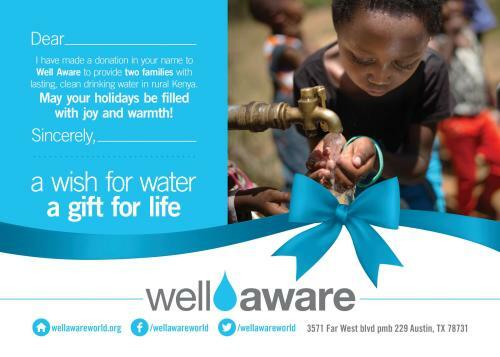 100% of your contribution goes to support Well Aware in the cause for clean water when you make a donation in the name of a loved one or coworker. You will receive a beautiful card that can be emailed or printed for mail/delivery, and your recipient will know that this gift will continue to give life and health for generations to come. These are also excellent client gifts and stocking stuffers! Click here to gift one to a friend, coworker, family member, anyone!